1.Made of microfibre and natural rubber which are all recycled materials. 2.Extra soft microfibre surface absorbs moisture quickly and offers great traction on your sweaty hands and feet. 3.Non slip rubber backing provides superior floor grip and helps maintain the balance without slipping. 4.Machine washable, Just throw in the washing machine and hang to dry. This printed mat won't fade. 5. Light weighted and compact travel design package with a free mat bind and elastic string make it easy to carry. 6. Lightly spray the mat with water before practice will enhance grip an performance. 7. Ideal for Hot Yoga, Bikram, Pilates, Barre. Microfibre surface absorbs sweat, dries quickly and offers great traction on your sweaty hands and feet. Non slip rubber backing provides superior floor grip and helps maintain the balance without slipping. Light weighted, flexible, extra soft and easy to be folded into any size, ideal for travel. 68 in long x 24 in wide mat ensures it to fit all type of yoga and individuals. Machine wash separately in cold water and dry flat. 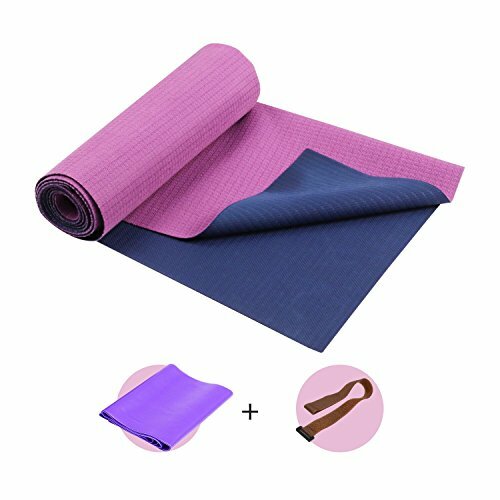 A free mat bind and elastic string come together with each yoga mat. If you have any questions about this product by FrenzyBird, contact us by completing and submitting the form below. If you are looking for a specif part number, please include it with your message.